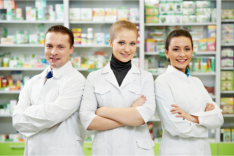 We have more than 10 years of retail pharmacy experience and our track record speaks for itself. We strongly believe that true pharmacy care starts with the exceptional service. That means we work closely with patients, doctors and insurance carriers to provide accurate health care. Today at Med Smart Pharmacy, we realize that insurance, doctor prescriptions and the paper work – all these are overwhelming when it comes to filling your prescriptions. We will make every effort to make sure your visit to our pharmacy is enjoyable. Med Smart Pharmacy specializes in Senior Care Medicine and Compounding. To know more about our services, please visit the Services page.